August 15th is the Feast of St Mary, the Mother of Jesus. Mary figures in the 'Annunciation', when Mary encounters the angel who tells her about the child she is expecting, the 'Visitation', when she goes to visit her cousin Elizabeth, the 'Nativity' when she gives birth to the baby Jesus, the 'Presentation' when she dedicates the baby to God in the temple at Jerusalem, the 'Wedding at Cana' when she is present at Jesus' first 'sign', and 'Good Friday' where, at the foot of the Cross, she witnesses and sorrows over his agonizing death. 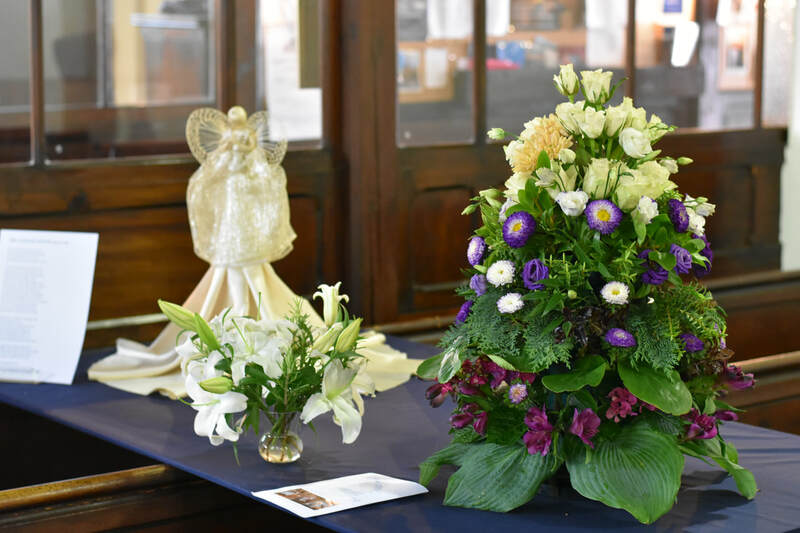 For this exhibition, flower guilds from six Episcopal churches in Edinburgh collaborated on floral arrangements that reflect something of these six events.